On Thursday, March 10, 2016 in a San Francisco federal court, four San Francisco police officers were cleared of charges of excessive force in the killing of Alex Nieto. 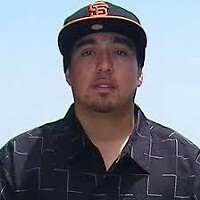 Nieto, was a 28 year old man, who was gunned down, in Bernal Heights Park, area of San Francisco in 2014, when four police officers shot at Mr. Nieto over 50 times. When SFPD officers allegedly mistook a Nieto’s taser, that he used for his security job, for a gun.